Collect logs from multiple systems and clouds in minutes. XpoLog 7’s unique patented engine automatically identiﬁes log patterns from any source and gets rid of the tiresome manual data pattern configuration process. BOOM! Quick insights with minimum effort! Why search when you can app? 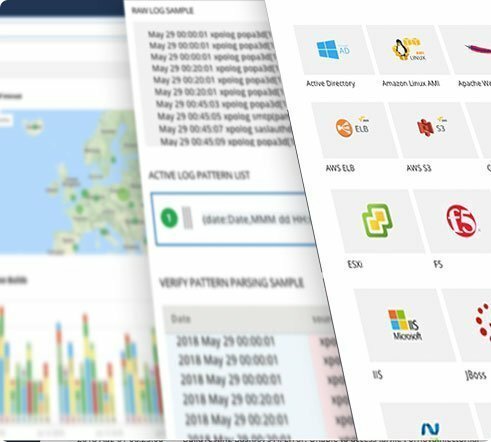 Following the automated log data collection, XpoLog7 matches apps to the system data, and automatically suggests and deploys out of the box analytic apps. 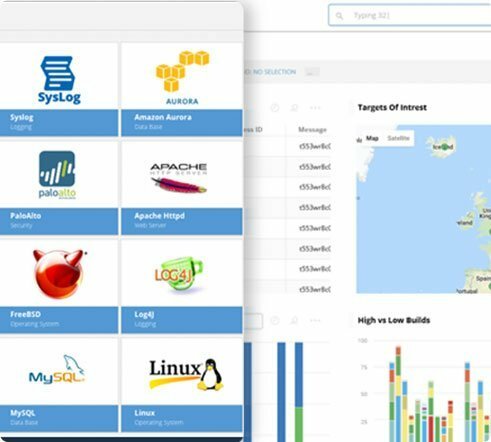 These apps provide real-time reports and dashboards, giving you immediate insights on security, system health, audit, errors and problems, trends and much more. Marketplace with Dozens of Fabulous Apps! XpoLog 7 contains an amazing marketplace with apps for all popular systems, logging libraries, cloud, IT, web apps, app/web servers and more. Awesome UI/UX is as important to us as it is to you. Check out our cool new interfaces on XpoLog’s search feature, analytic apps and more. Discover problems you haven’t searched for. Amplify your search with an extra layer of machine intelligence to automatically discover hidden errors, anomalies, exceptions, etc. XpoLog’s engine adds severity tagging to catch issues in real-time and prevent them from turning into critical problems.